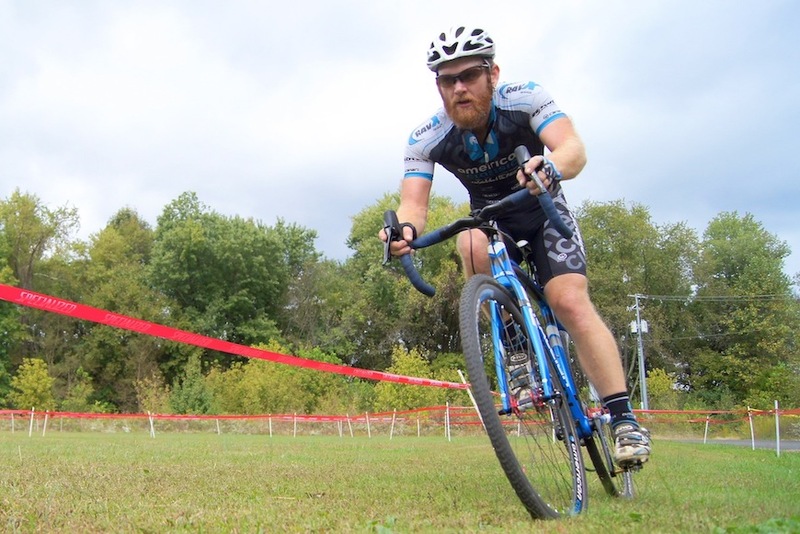 Robert Marion has been racing for quite a few years, and if you follow American cyclocross, you’ve probably seen him at the races; He’s the only one in the Elite field with a massive red beard. 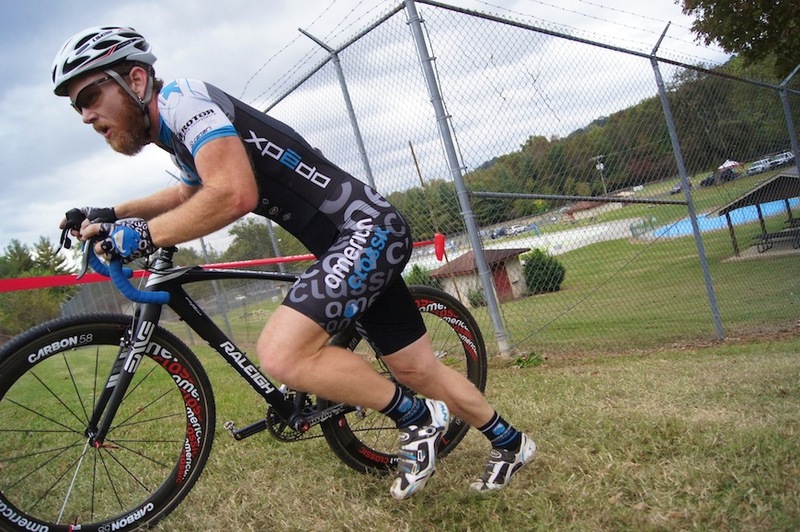 The Southern racer sat down with us to share some of his nutrition secrets for cyclocross season. ’Cross is notoriously hard to fuel for, since it involves a 40 to 60-minute all-out effort that leaves very little time to eat or drink during the race, and with a bike and clothing that don’t have a spot for a water bottle or energy bar. For racers both pro and amateur, that means that pre-race prep and post-race nutrition, especially on weekends where there’s racing both days, is increasingly important. Robert Marion racing ‘cross. Image courtesy of American Classic / Xpedo PRO Mountain Bike Team. Cyclocross season is nice because the pros race sometime between 2 and 4 in the afternoon. First thing I do is get up and do some kind of short ride, and then I eat something like oatmeal. Not a lot, but enough to get the day going. I really like Bob’s Red Mill oatmeal. Every now and then if I’m feeling frisky, I’ll cook some eggs or something to go along with it. What about before the race? Then, I try to have another snack, about three hours before the race. Something like a piece of fruit, a banana, some Greek yogurt. Just something to keep my glycogen stores topped off but not a ton for my body to digest. Then, I kind of play it by ear. I’ll have a Clif Shot gel right before the race, about half an hour before, and maybe another right at the line. I’ll just do what my body tells me at that point, sometimes it seems like I burn a little more. It depends on how recovered I am, day one versus day two versus day three. But within three hours before a race, I just listen to my body, if I feel hungry, I eat some Shot Bloks. That doesn’t seem like a lot. Do you eat more the day before the race? I usually have a pretty good meal the night before. I have a really slow metabolism compared to some people, so if I was to eat a large meal the day of the race, it would just hang around. I used to be a fat kid; I don’t burn many calories. Do you eat or drink during a cyclocross race? Not at all. Even the days that they allow feeding, I don’t. I know that in the summer, I can go an hour without anything to eat or drink, and I feel like that gives me mental strength over the guys who feel like they need it. Marion charging up a hill during a race this past season. Image courtesy of American Classic / Xpedo PRO Mountain Bike Team. What do you do for post-race recovery? Normally, I have some sort of electrolyte drink or water right at the finish line, and within 20 minutes, I like to have a bottle of the chocolate Clif Shot Protein Recovery drink. We have a nice little hot chocolate machine in the trailer, and it’s water and the chocolate Clif Shot Protein Recovery mix. As soon as my mechanic gets back to the trailer after the race, he hits the button and it starts heating and stirring. By the time I get back, it’s warm and ready. So when it’s cold, I take my recovery in the form of hot chocolate. I actually look forward to it! It helps to warm you up because you’re always freezing after. That’s one of the things I struggle with sometimes, making sure I get proper recovery post-race, and that helps. And if it’s there on the counter and warm and ready, I’m not too lazy to drink it. What about during the week, do you have a diet you stick to? Normally, during ’cross season, I’m a little more strict than I am the rest of the year. I can pick up five to ten pounds of body weight really easily, so I need to be careful. When I’m on the road, I’ll be at the campground with the RV, and I’ll get up in the morning and have a really light breakfast, like a serving of grits and a couple of scrambled eggs. Then I’ll do bike prep or whatever needs to be done for the day, and then get a ride in. Then I come back and start prepping for early dinner. So it’s about two smaller meals a day during the week. As it gets closer to the race, like the night before, I’ll add a little more starch and carbs, and I’ll try to get a little more protein. I’m a meat eater; I’m definitely a fan of steak. A friend of mine stocks a cooler full of venison steaks and I’m a fan of those during ’cross season. The secret is out: I started eating deer meat last year and that’s when I got fast!